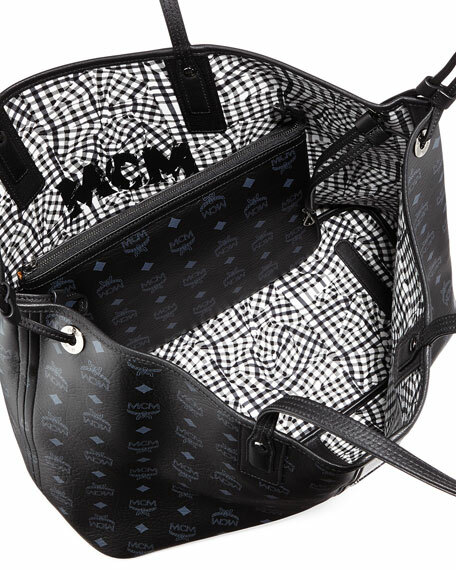 MCM Visetos logo-print coated canvas with smooth leather trim. Thin shoulder straps, 9" drop. Leather pulls cinch bag sides. Open top with lobster clip closure. 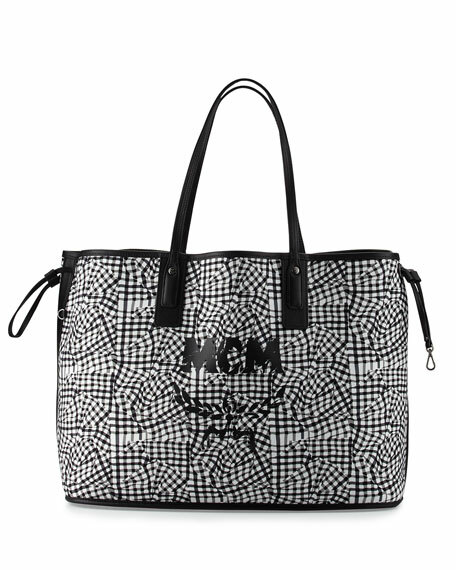 Inside, reversible check-print canvas with logo print. 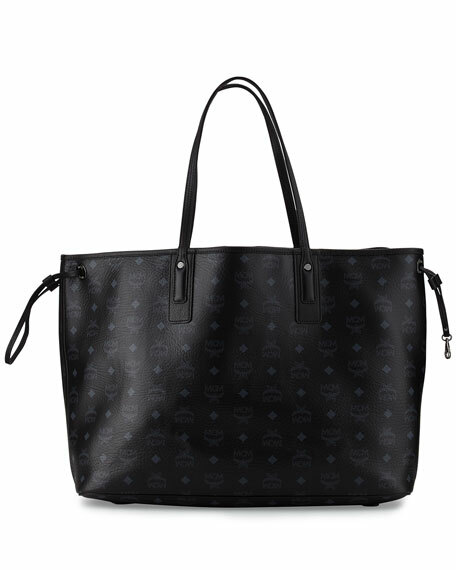 Includes matching zip pouch with shoulder strap, 8.5"H x 11.5"W.
15"H x 18"W x 8"D; weighs approx. 3.5 lbs. For in-store inquiries, use sku #1799474.